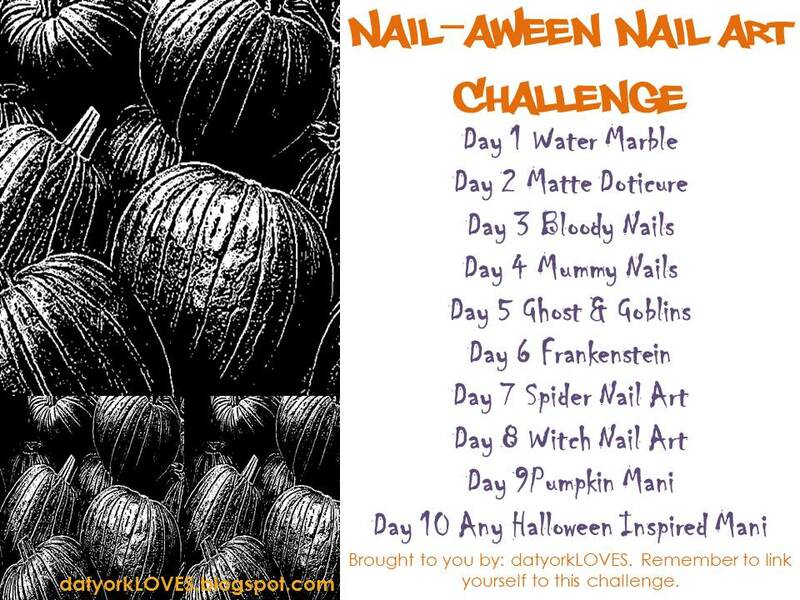 Here’s my Day 3 entry for the Nail-aween Nail Art Challenge from datyorkLOVES/SassyNails. There are 10 themes, and I have to complete all of them by the end of October, but other than that, it’s self-paced. Today’s theme is bloody nails. I tried to do something a little different here since there are so many creepy examples out there of Halloween manicures or vampire-themed nail art featuring drippy and splattered blood. 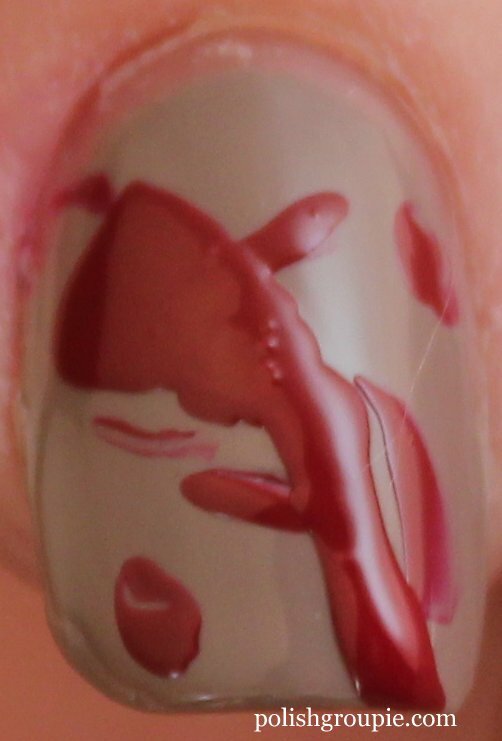 I went for smears instead, as if someone had smeared blood on a wall. I started with two coats of OPI Berlin There Done That, a nice neutral taupe that I thought could very easily stand in for a wall color. Then I used Ulta Steppin Out for the blood smears. I think both the color and the thicker consistency of this polish mimic real blood. My technique on this was to drop some of the red polish onto a piece of wax paper. I then used the straight edge of a piece of paper and dragged it through the polish, then dragged it across the nail. In some cased I dragged left to right, other times dragged downward. I love the dragged/smeared look, the middle finger is my fave!! thank you! I picked up the red polish on clearance at Ulta a few weeks ago for $2!